Cochineal is probably the weirdest natural soap colorant I’ve ever used. So much so that I thought the experiment was a complete failure until a week after I made the batch. 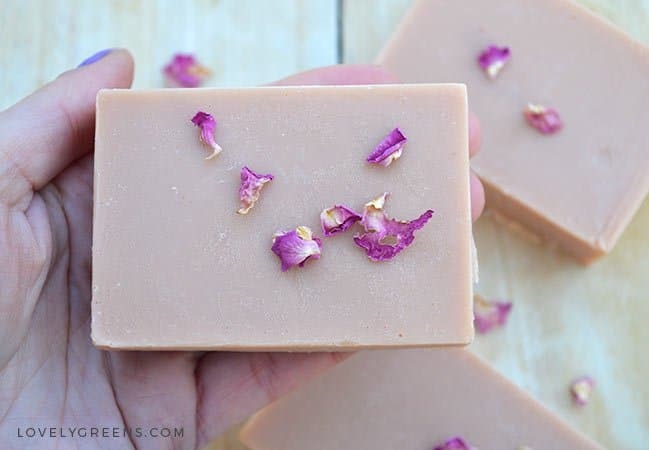 The murky yellow-brown of the finished bars had morphed into a dusky pink colored soap! That’s not even the weirdest bit — the color started off scarlet-red before it changed to deep purple when it reacted with the lye. Then it instantaneous changed to brown when the soap hit ‘trace’. Though you might not have heard of cochineal, you’ve probably eaten it before. It’s the natural red color used to tint all sorts of foods from powdered drinks, cough medicine, red velvet cake, smoothies, candies, and so much more. You can find it on ingredients lists as Carmine. What you might not know is that this widely used color isn’t Vegan. It’s not even Vegetarian. I’ll go into that a little more at the end of this recipe. Just be aware that if you do use this color that you can’t label your soaps as either. * You can use extra virgin olive oil but the color of that oil is much deeper. 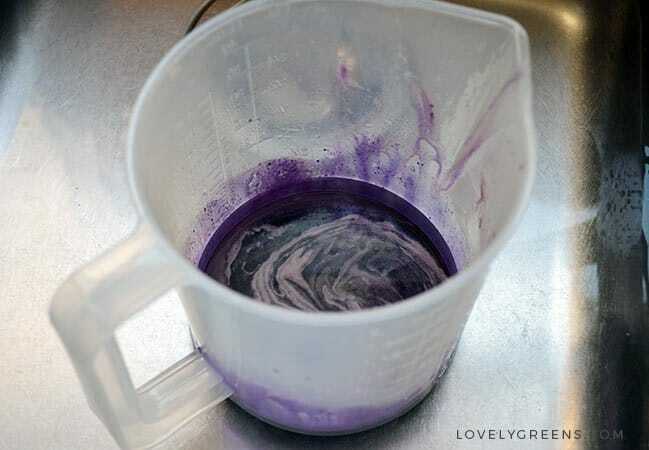 I’ve not tried it yet but it could affect the final color of your soap. 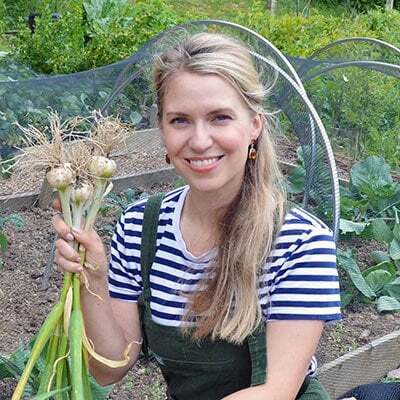 All the oils I’ve chosen for this recipe are either white or light in color. 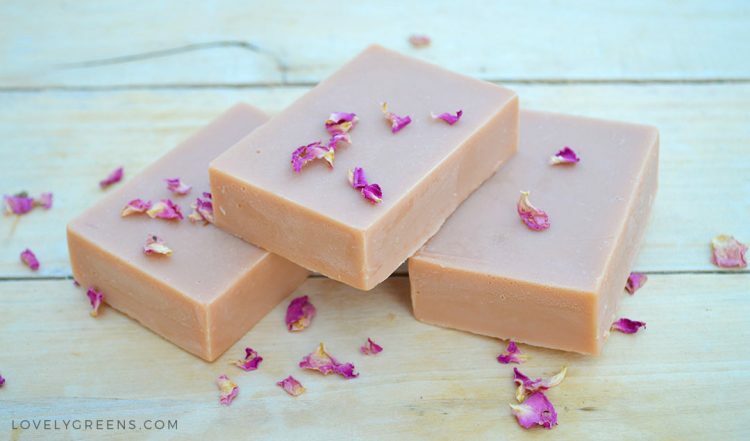 There are several ingredients that you can use to achieve a naturally pink soap. 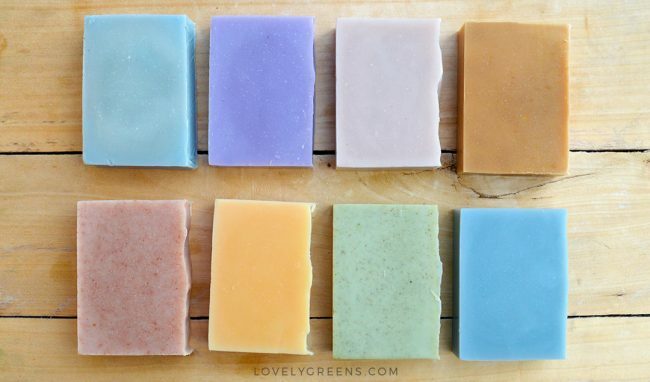 Madder root is one of my favorites but there’s a host of others listed in my piece on naturally coloring soap including pink clay, sorrel, and ladys bedstraw. If you’re new to making handmade soap, you might also want to check out my four-part series on natural soap making. 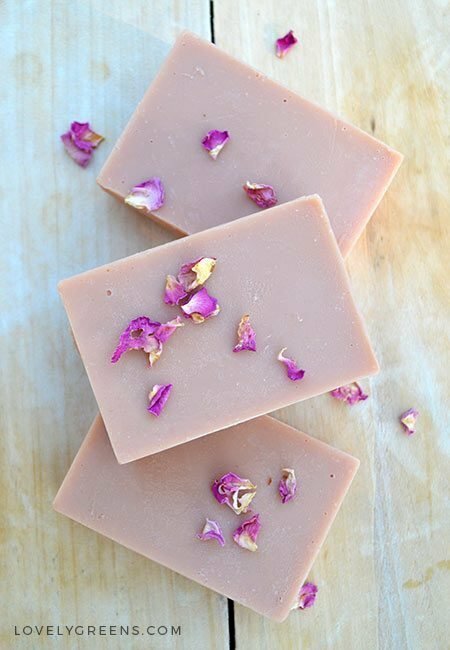 It gives a good introduction on what to expect from ingredients, equipment, recipes, and how to combine everything together to make soap. 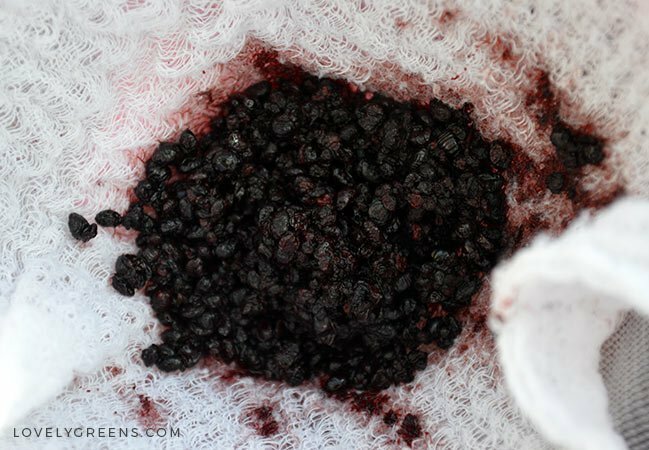 Cochineal should arrive in a dry form and it looks like small dark pellets. I tried infusing it into oil first and it did not take at all. Infusing it into water is another matter! Although it probably needs less time, I simmered the cochineal with the water on low for 30 minutes. The cochneal can be used again, so once I strained the liquid through a cheesecloth, I set the colorant aside to dry. I successfully used it a second time and the color was just as vivid. Allow the cochineal infusion to cool and then measure it. You need 130g (130ml) of water for this next step so if your cochineal has boiled down, top it up with fresh water. Wearing goggles and gloves and in a well ventilated place, pour the Sodium hydroxide into the cochineal infusion. The scarlet water will quickly turn purple. 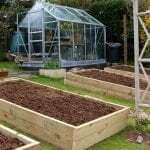 It will also get very hot so stand it in a shallow basin of cold water to help it cool down. On very low heat, melt the coconut and shea butter until it’s just liquid. Take it off the heat and pour in the other oils — castor oil sticks so make sure to scrape it out with a spatula. Give it all a stir and then take the oil’s temperature and of the colored lye-water. You want them both within a few degrees of 125°F (52°C). 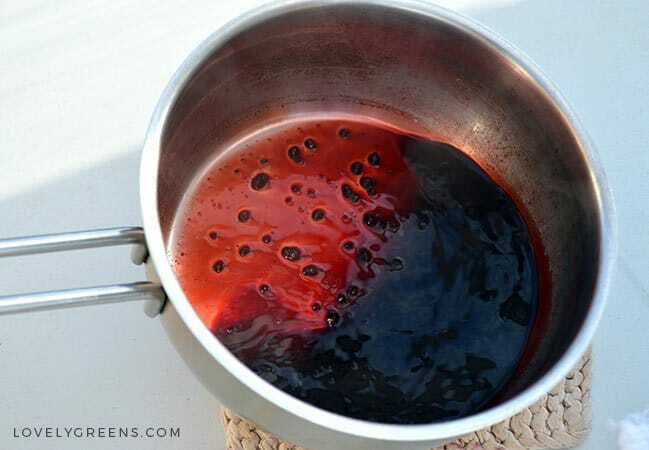 Use the basin of water to cool the oils down if you need them to cool quicker. When the temperatures are right, pour the lye mixture through a sieve and into the oils. Place your stick blender in the pan and use it like a spoon at first — mix it all together well. Now turn the stick blender on for a few pulses, then stir again. Repeat until the mixture thickens to the consistency of warm custard. This is called ‘trace’. Don’t panic if you see your mixture turning brown. This is what it does! If you’d like to scent your soap beautifully, I suggest rose, patchouli, and a hint of lemongrass. 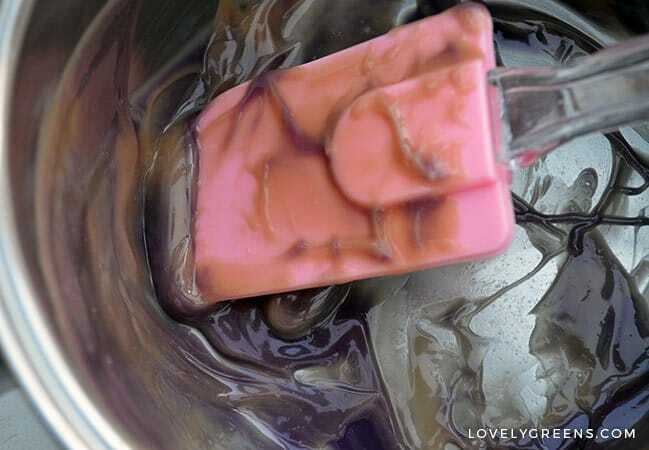 Stir the oils in when your soap thickens to trace. Pour the soap batter into your silicone mould and then insulate well. 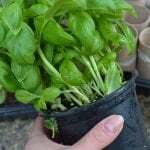 You can put a layer of cling film over the top and then wrap it with a layer of towels. Leave the soap insulated for 24 hours before you take the towel off. Your bars will begin a kind of weird yellow-brown color but after a week or so will transform into a soft and pretty pink. I left this until the very end because it could be off-putting. Cochineal is a traditional red colorant used to tint food and also to dye fabric and wool. It’s also an insect. Read more about cochineal. I love how you left the insect fact until the end! Lovely pink colour, I’ll give this one a try. If I’d put that at the beginning I think a lot of folks wouldn’t have given it a chance. It took me ages to want to try — even though I knew that I was probably eating it in some things. Carmine is a very popular colour in all sorts of foods and cosmetics.